When I was reading up on the books, I found out that 3 of Jack’s novels are no longer available in the US as they didn’t sell hugely! The Hundredth Man, The Death Collectors and The Broken Souls, and I have all three so that instantly makes them more special to me! In high school when I discovered I got better grades by writing in a more complex fashion; using larger words, basically. Teachers would often overlook the vapidity of my presentation in favor of its polish. That was a revelation. I once figured that if I stacked my writing into traditional 40-hour weeks, a book averages about seven months. What is your typical routine when writing like? After a quarter-century as a adverting writer and producer, I tend to treat it like a standard job. I hit my desk in the morning and work until my head gives out. I work at home until I get bored with its urban surroundings (across the river from downtown Cincinnati), then go to our cabin in the Kentucky mountains for a change of venue, always a good thing for my work. How did you create Carson Ryder? Through a joke. When writing my first novel The Hundredth Man, I had no idea how to commence, so I had a character tell my favorite joke in a morgue. The joke-teller became Harry, the joke was used as a description for Carson and they both developed from there. The joke also gave me the title for the book, not bad for a clean joke. And Harry Nautilus for that matter? Both are wonderful characters. My characters tend to write themselves, thus I make no outline, since the stories could change on a line of dialogue, and frequently do. A book is in the works, though I’m not sure it’s in the series. See what I mean about not being in charge? A lot. Whether it’s a depiction of human trafficking, sociopathy, collecters serial-killer art—or many other diverse and disturbiing topics—I want verisimilude to guide the reader into an unfamiliar world. And yes, some topics take more research time than others. Outdoors. I hike, bike, canoe, build trails at our cabin. I also greatly enjoy cooking, brewing beer and woodworking. Do you get writers block? If so, how do you break through the wall? I’ve never had writers’ block, probably from my advertising days where, if you didn’t produce, you got fired. What is the hardest thing about writing a series? Keeping it fresh and offering new insights into familiar characters. What is your favourite thing about Ryder? His basic goodness and belief in humanity, despite bouts of cynicism. Authors shouldn’t proofread their books, at least not me. It should be someone new to the book who can divorce her- or himself from the story and see it on a word-by-word basis. Proofreading is done by the publisher. Again, mostly handled by the publisher, although I often answer writing-oriented blogs that question me directly. Every writer gets both positive and negative reviews, often of the same book. I absorb them all. Do you read much? If so, what do you like to read? I read anything and everything. 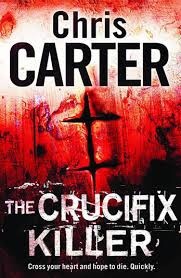 My favorite mystery/suspense novelists would include James Lee Burke, Robert Crais and, as an early influence, John D. MacDonald. But I also enjoy non-fiction, particularly books on psychology and culture. I just finished a book titled The Comedians, a history of stand-up comedy; fascinating! Finally, How can readers discover more about you and your work? 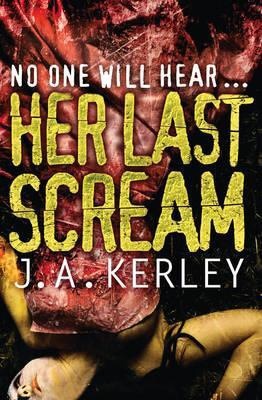 I have a website, Jackkerley.com that I should update more often, but it provides a list of all books, brief synopsis, and chronology. So, there you have it! 😊 I can highly recommend Jack’s website as all the information you need about him and the books can all be found there! 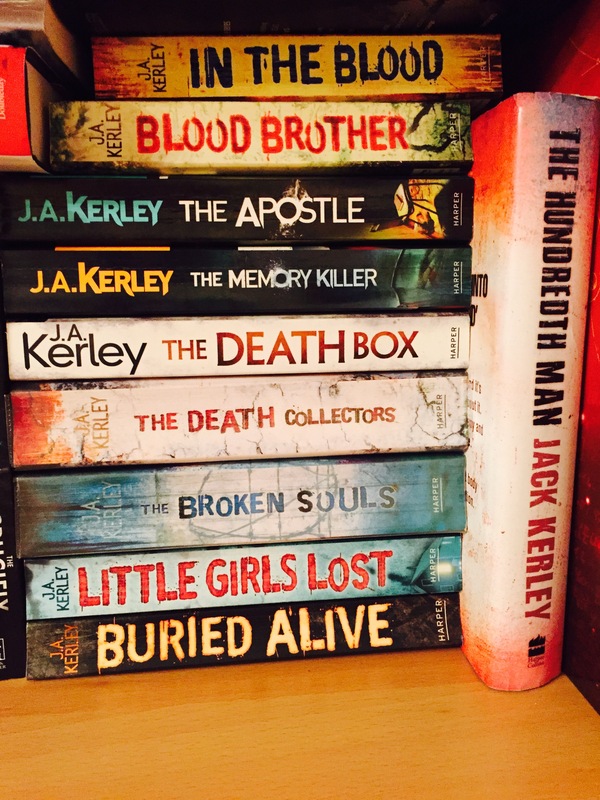 Author bibliophilebookclubPosted on December 7, 2015 Categories authors, Best of 2015, Books, ReviewTags Bookouture, books, crime, Orenda, review, series, thriller12 Comments on My Top Ten Books & Series of 2015 Part 2!!! I’ve had Angela’s books on my TBR since Silent Scream came out and I kept telling myself I’d get to them eventually. 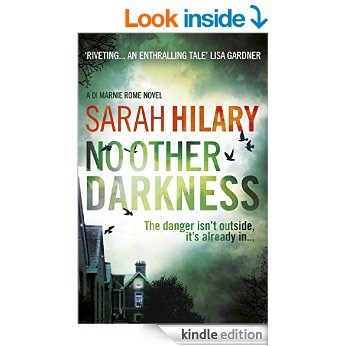 I attempted to get to them during Bookouture Thriller week but alas, time was not on my side. I made it my mission to read them this month after doing up a guideline for what books I wanted to read. You can read my Hello November post here. I wish I didn’t wait so long to read them, but at the same time I’m glad as I got to read them all in quick succession. I absolutely devoured all three as they were just brilliant! Angela Marsons has a wonderful way of writing. It draws you into each story and makes you feel like you know these characters. 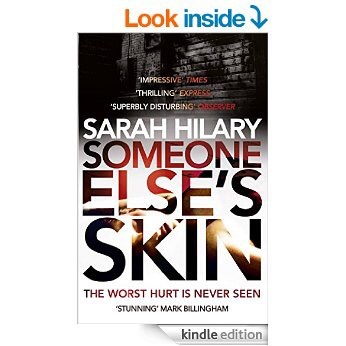 I love that in a book, as it engages you and you want to solve the crimes just as much as DI Stone and her team do. I’m not going to go into detail with my thoughts on each book. The synopses are above so you have an idea of what each one is about. I will however, talk about my favourite characters. First up is Kim Stone obvs. Stone is a wonderful example of a woman hardened by past traumatic experiences which make her the strong willed detective that she is. While she may be cold, she is effective and has a heart underneath it all. Bryant is also a great character. The closest thing to a friend that Stone has, he provides a sounding board for her, along with some light comedic relief at times. Special mention goes to Dougie who is also in Evil Games. I don’t know how to say how great Dougie is without possible spoilers hence the above message just in case I inadvertently reveal anything! Dougie suffers from severe Autism but there’s just something about him that made him stand out for me. Towards the end of Evil Games, in my mind, Dougie is a hero! 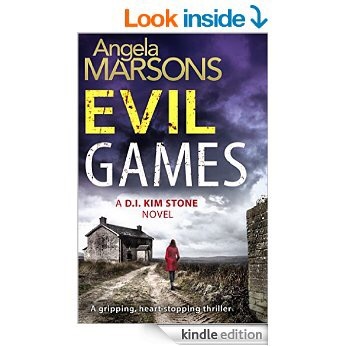 I don’t know what else I can say about Angela’s Kim Stone series other than it’s absolutely fantastic. One of the best series I’ve read in a long time. I can’t wait for book 4 to come out! 3 of the easiest 5⭐️ reviews I’ve given on Goodreads this year! I’m going to tweak this slightly to series as opposed to book! While I’ve had loads of books on my TBR for quite some time, there are some on there that I’ve been meaning to get to for a while, and others that I’ve been saving to read one after another! 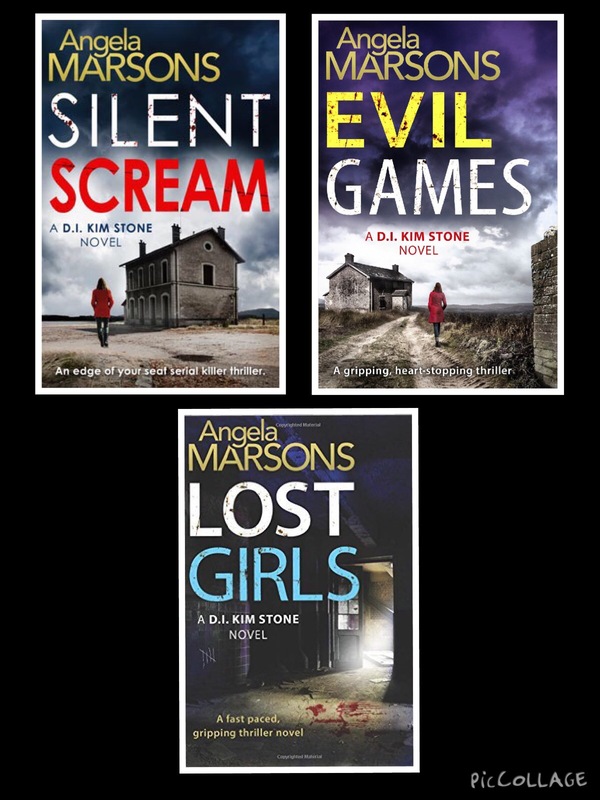 I have Angela’s 3 books on my Hello November TBR post which you can read here. 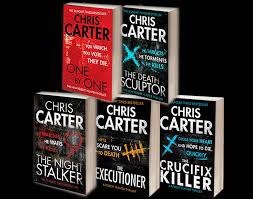 I had planned on getting to them during Bookouture Thriller week but the time ran away with me, I’ll still get them read this month! I’ve been saving these five books because I want to savour them as I read them! I sound like a crazy book lady!